Dr. Stanley Alexander is Board Certified by both, the American Board of Pediatric Dentistry and the American Board of Orthodontics. He received his specialty certificate in pediatric dentistry from Boston Children’s Hospital and Harvard University, and his specialty certificate in orthodontics from Columbia University in New York. 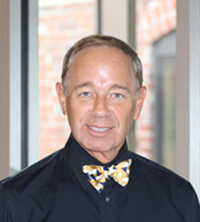 Dr. Alexander is the former Chairman of the Department of Orthodontics and Pediatric Dentistry, Distinguished Teaching Professor, Distinguished Service Professor, and the founder of the postdoctoral program in Orthodontics at Stony Brook University, New York where he served for 28 years. He is also the former Chairman of the Department of Pediatric Dentistry at Tufts University - School of Dental Medicine. Dr. Alexander is a member of the American Dental Association, American Association of Orthodontists, Northeastern Society of Orthodontists, American Academy of Pediatric Dentistry, and the Massachusetts Dental Society. He has written over 70 published manuscripts on research topics in dentistry including treatment in orthodontics and pediatric dentistry.